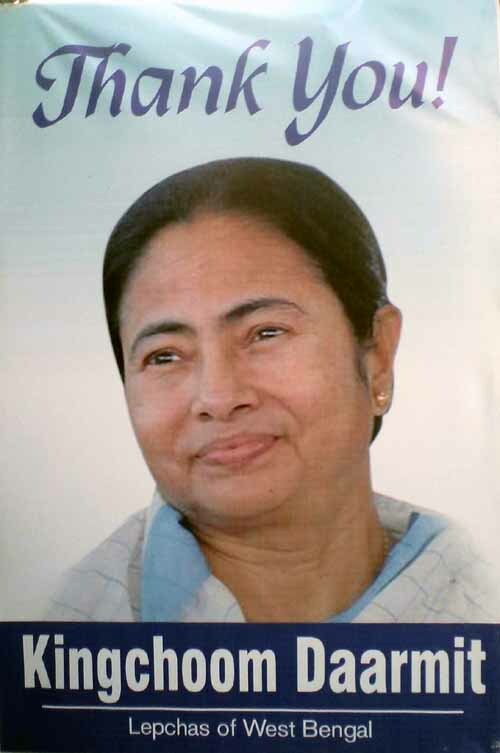 Chief minister Mamata Banerjee Wednesday said her doors are always open to Darjeeling Hill leaders if ever they want to talk to her about grievances and problems. "But if they close their doors, my brothers and sisters will suffer from lack of development," she said, she attended a programme organised at Mela Ground in Kalimpong by the Lepcha Development Board that marked its foundation day on Thursday. Banerjee said that she is willing to do everything "constitutionally possible" for the development of the Darjeeling Hills, but "will not part with my heart, the Darjeeling Hills." Likely referring to the Gorkha Jan Mukti Morcha's recent announcement of resuming the Gorkhaland agitation in a democratic way, the chief minister said that she had observed during the previous agitation that all societal and business industries of Darjeeling, including education, were badly affected and hit the hill people. "As such, just for political benefits, people should not be made to suffer," she said. Banerjee also announced a separate development board for the Mangar community. During her last visit to Darjeeling, the CM had announced the Bhutia development board on 25 August. Notably, she had then said that there will be no further development boards as it was not possible, but she would make arrangements for the development of some hill communities. Following Wednesday's announcement, five development boards have been formed for communities residing in Darjeeling Hills- -Lepcha, Tamang, Sherpa, Bhutia and Mangar. Lepcha Development Board first foundation day observed at Mela Ground in Kalimpong , CM says doors open for hill leaders, Banerjee also announced a separate development board for the Mangar community.